Despite hundreds of ASA complaints, the industry should be praising KFC's recent campaign, Trinity Mirror's group marketing director writes. Advertising has got bland. Advertising is not as good as it used to be. Advertising has been ruined by obsession on measuring digital clicks. Advertising is vanilla. Advertising isn’t brave any more. All claims made endlessly in our trade press and on the social media accounts of some of the giants in our industry. And so why the derision and vitriol, on the release of KFC’s new brand ad? 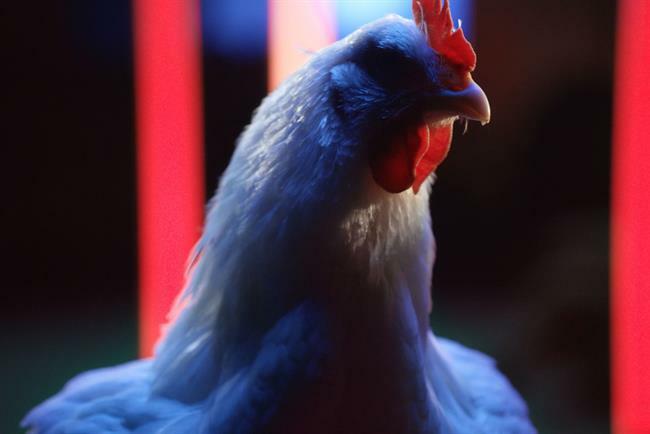 The new KFC ad has already had 375 complaints made to the ASA, and if you haven’t seen the ad, it is a fierce-looking real chicken dancing to a rather edgy rap track to make the point that the only thing in KFC chicken, is well, chicken. And our industry has merrily jumped on the bandwagon, criticising KFC for not only breaking the rules by featuring the animal that is killed for consumers to eat, but also that KFC chickens don’t look like the one featured. So, a couple of things to bear in mind here. Firstly, rule breaking has created some of the best, stand-out and transformational marketing, being brave enough to disrupt norms to gain commercial advantage. The black packaging on Tango and Dove Real Beauty being two of my favourites. It’s impossible to predict how consumers will react, and even harder to separate how they say they feel, versus what they actually go on to do. So it is much too soon to judge this rule breaking. Secondly, chicken welfare at Waitrose levels is not something most consumers are after. They’re realistic that with free roaming chillaxing chicken lifestyles comes a hefty price-tag which they can’t afford. So filter bubble strikes again for Guardian reading Abel and Cole consumers assume all of Britain has the same consumer values as they do. Thirdly, none of us properly understand the business challenges KFC are facing, and therefore the marketing steps they need to take to ensure their activity cuts through. And while not an in depth robust piece of research, our toe in the water look at the Trinity Mirror panel, Mouthpiece, shows the challenges KFC may be very aware of. They are facing an issue with younger consumers in particular, with a much higher number of rejecters than McDonalds or Burger King. And guess what? This ad is resonating with them, polarising for sure, but creating advocates at the same time. Lastly, our proprietary research into falling brand relevance shows that consumers no longer see advertising as part of popular culture. Ads are not being talked about in the pubs, school gates and kitchen tables across Britain in the way they once were. When was the last time you heard a strapline used in everyday life, lifted from a recent campaign? So cut through is harder. Getting talked about is harder. The risks you have to take are greater. So I take my hat off to KFC. I love ads that do something different. I love campaigns that against all odds get people talking. And I like that there are still rules to be broken to inspire us all to try that little bit harder to make great advertising. So shouldn’t we as an industry be celebrating this rather than decrying it? As sport winds down this summer, how do brands reach fever pitch?